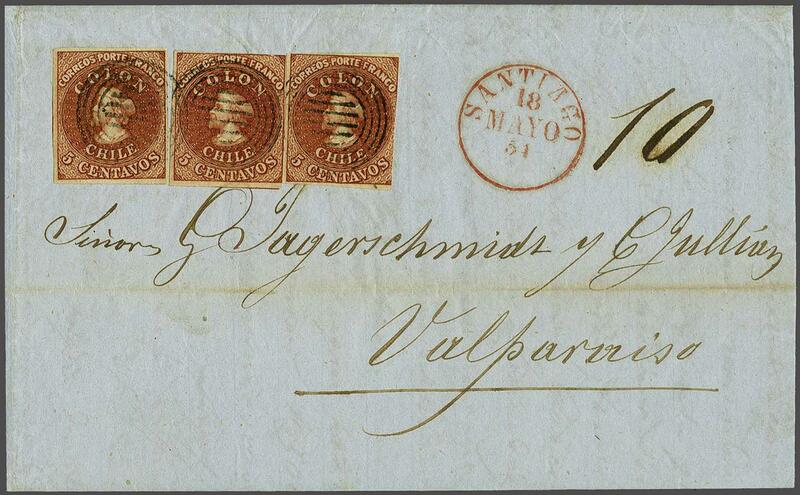 Recess by Narciso Desmadryl from Perkins Bacon Plates 1854 (Jan-Feb): 5 c. deep reddish-brown, three single examples with margins touched to mostly large, used on 1854 entire letter from Santiago to Valparaiso cancelled by six barred target handstamps in black. SANTIAGO cds in red adjacent (May 18). 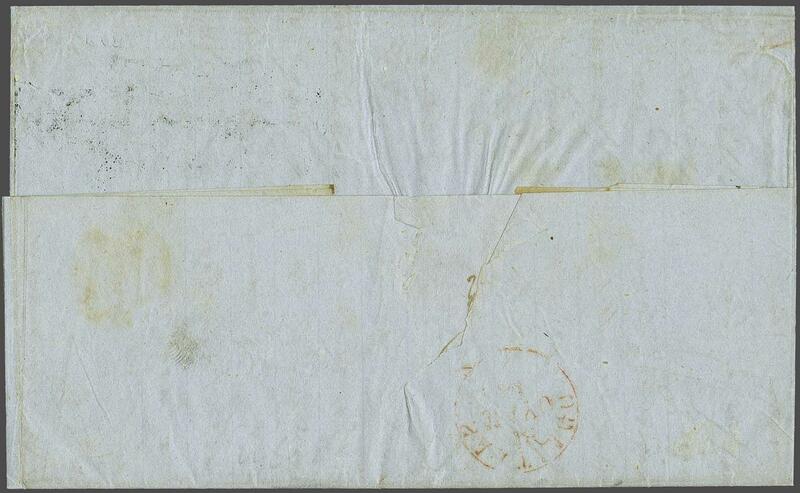 The cover was either a 25 c. rate with 10 c. paid in cash or was Short Paid 5 centavos and the manuscript '10' was the amount to be collected upon receipt. A fine and most attractive entire. Cert. 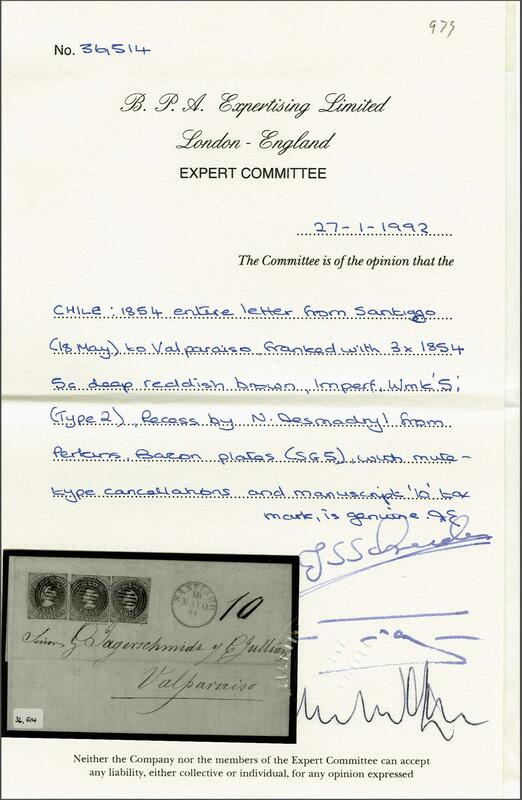 BPA (1992).rnProvenance: Collection Gerhard Blank, RL, Dec 1991, lot 979.